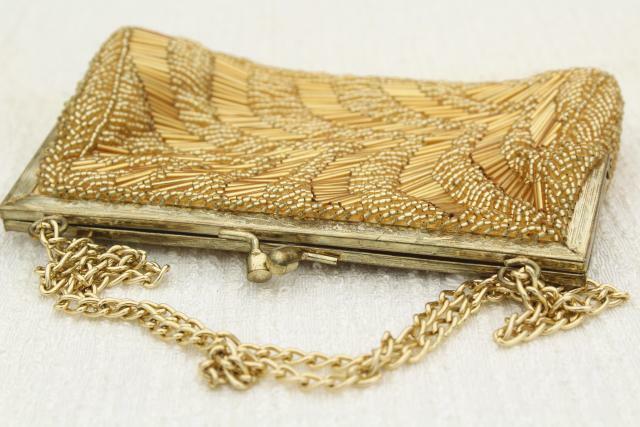 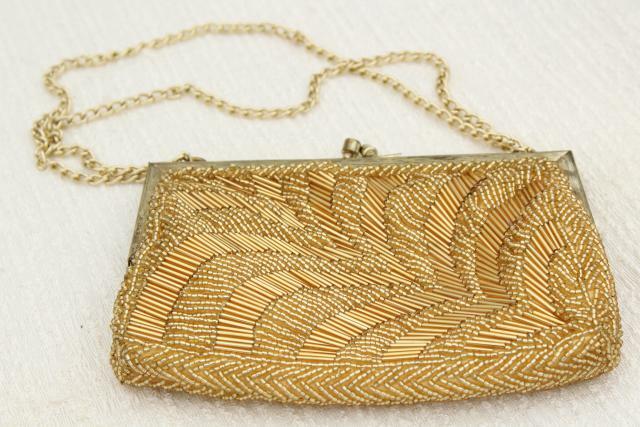 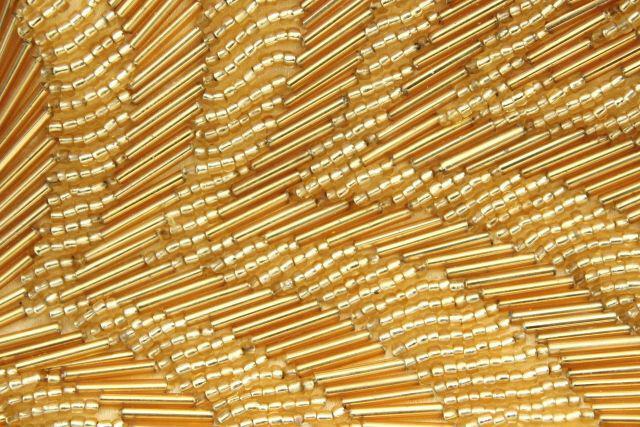 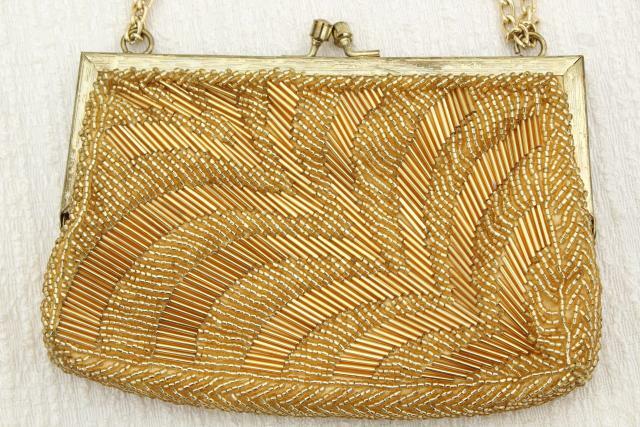 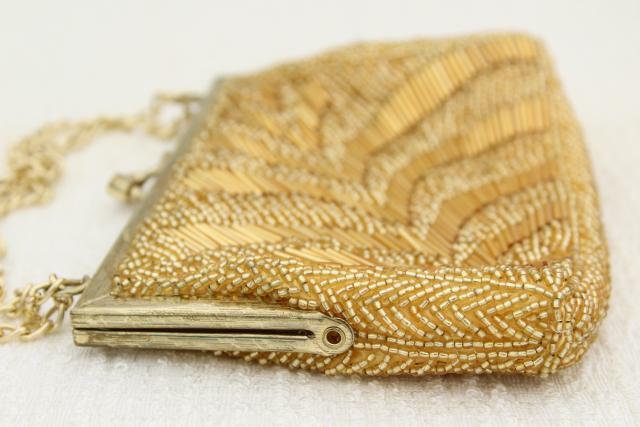 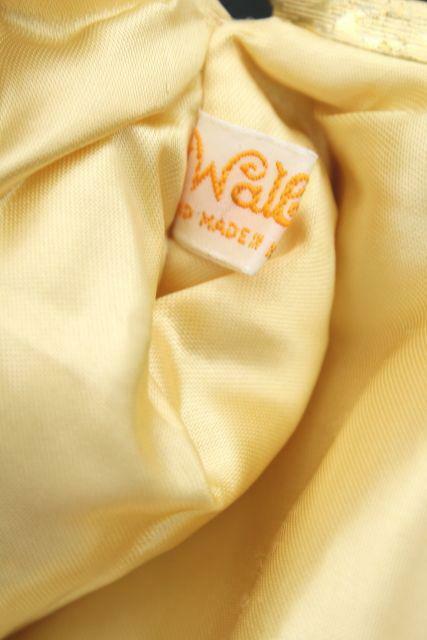 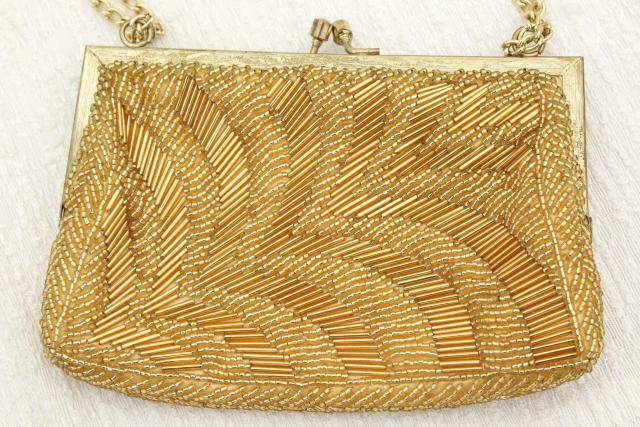 1960s vintage beaded bag made in Hong Kong, in very good, wearable condition. 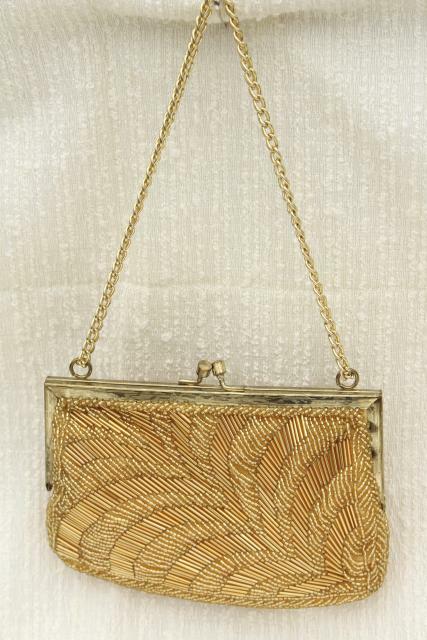 This measures about 6" x 4 1/2" over the bag, with adjustable chain handle. 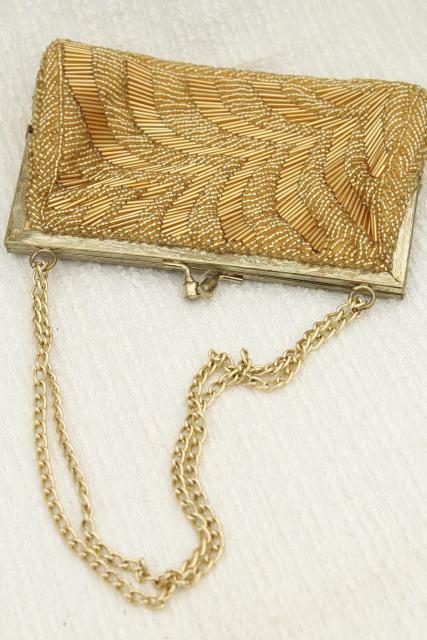 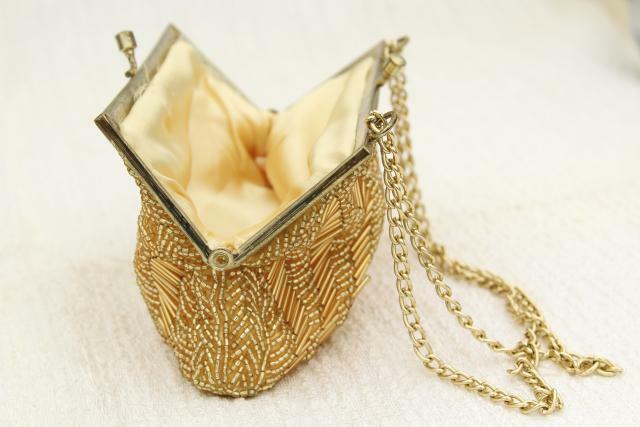 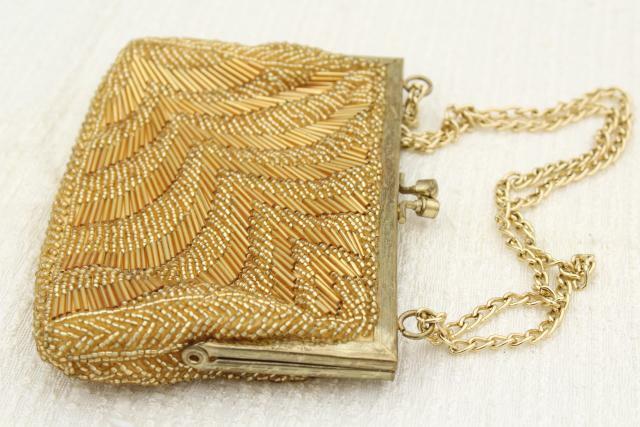 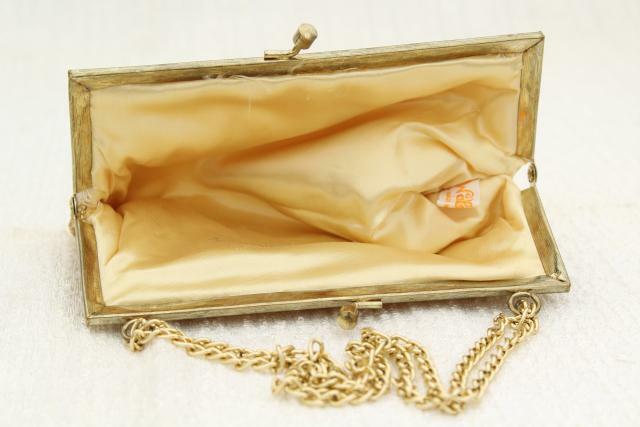 This measures about 7" fall to bag with the chain doubled, or works as a shoulder bag with the chain pulled to full length.